The weather here was SO nice last weekend, so I was excited to break out some bright colors and my favorite flares (missing those days already, as it’s only been in the low 60’s all week!). This colorblock sweater is so super fun for Spring, but does run really large (I’m in a S). This sweater is Everything! I love these colors and I love you! This sweater just makes me smile! Great color pattern and so cheery! Why do i always forget about Asos? They have the cutest pieces. You are Spring Sensational!! Have a beautiful weekend my gorgeous friend! This sweater is everything!! You are a master of the chic boho look, gorgeous! Loving the mega flares, girlfriend! So damn fun! Such a cute outfit! Love that sweater and obviously that handbag. You always have the best handbags! Ohhhh Shauna this is SO fun!!! Our winter has been so drab with lots of clouds and snow so this was sunshine for my eyes! Love the modern-retro vibe!!! Your outfit is cool! The jacket and pants are perfect match. This whole outfit is so cute. 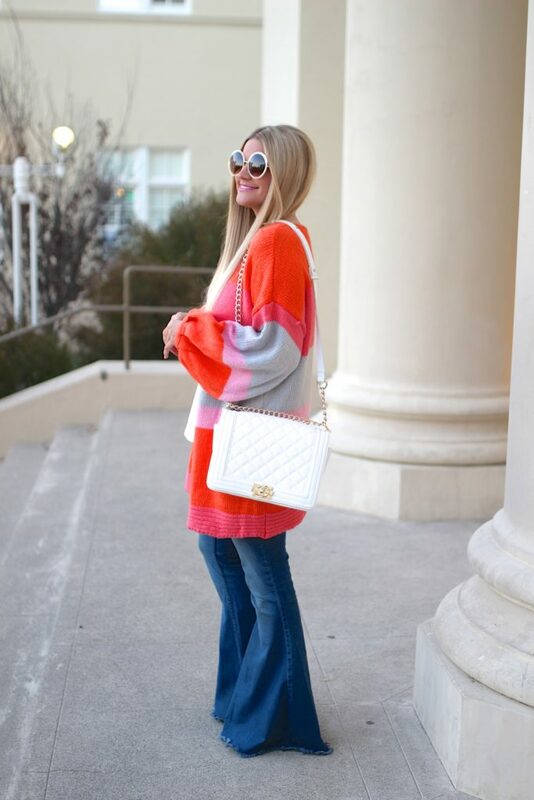 I adore those flares with the sweater. I love the flared pants and your bag is so pretty. Wow I absolutely adore this sweater is just pops at you! you have styled this outfit so well hun. Super cute sweater! I just love the bold and bright colors. It looks great with your flares. Thanks for linking up with Fabulous Friday, Shauna! 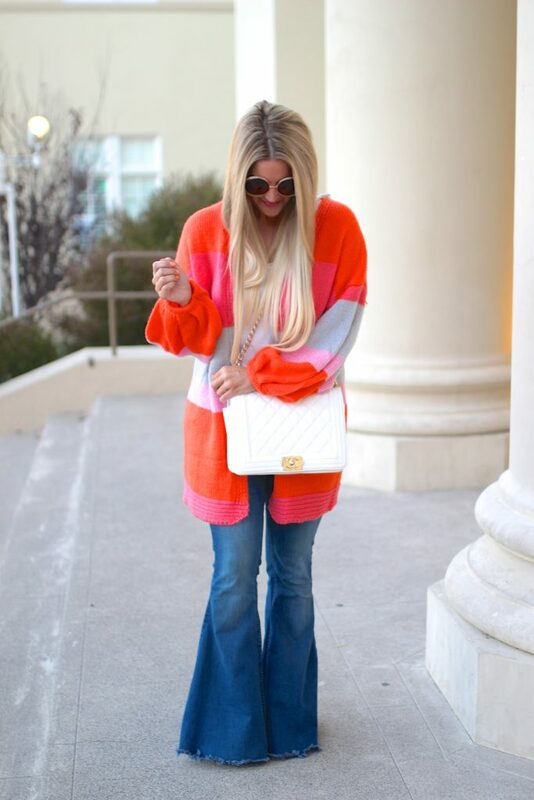 Such a cute color combinations on that sweater, and looks super cozy too.